Checking accounts come in a variety of flavors. Some are plain vanilla and others tutti-frutti, or bare-bones versus fully loaded. Regardless of which metaphor you choose, the plethora of choices can be confusing and costly. There is no point in paying for what you don’t want or need; and few things can be more expensive than not having the features that match your needs. There are two basic types of bank accounts: One for making money and one for spending money. Savings accounts are technically for making money, because they are traditionally interest bearing accounts, which means the bank pays you for keeping your money there. Granted, they don’t pay much, and there are far better ways to save money and have it grow, but that’s a different article. 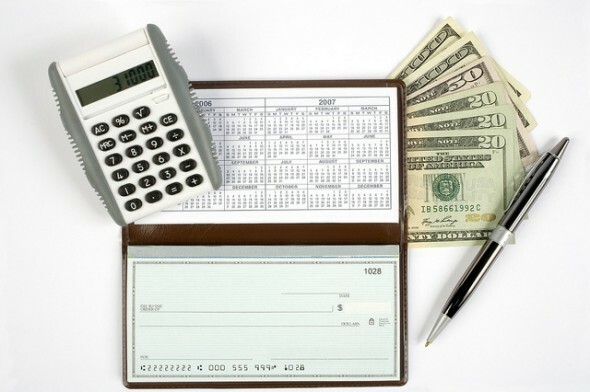 Checking accounts, on the other hand, are basically for spending money using a debit card, wire transfer, bank transfer (from your bank to the company you are paying), and paper checks that you write out by hand or print on a printer. At their core, they all function the same way: Money goes in and money goes out to pay businesses. So then what’s all the fuss? There are different configurations to this basic set-up that include fees, limits, who can use them, and that can get confusing. This is the simplest of the checking accounts to understand, because it doesn’t do much more than hold your money until you spend it by writing a check or using a debit card. They sometimes have limits on the number of checks you can write a month, and often have a monthly maintenance fee associated with them. If you’ve ever heard the expression that “nothing is free,” than you already know that this most popular type of checking account is not really free. There are no charges for maintaining the account, as long as you stay above an average monthly balance that can range from $100 to several thousand dollars, depending on the bank. The cost in free checking accounts is the money the bank earns by investing your average balance and not sharing the interest with you. SmartAsset’s banking experts spent hours analyzing some of the top free checking accounts on the market. Based on this research, we’ve compiled the best free checking accounts for 2018. These accounts are often a sort of hybrid in that there is no monthly fee as long as you maintain an average minimum balance. Like with free checking accounts, the bank will then invest your money, and in this case, share some of that interest with you. The catch here is that the required balances are usually too high to make it worth the effort. These are accounts that have two or more owners. Typically, married couples would have joint accounts, where both spouses have equal access to and responsibility for the account. Whether or not you want to utilize a joint account depends on your relationship and financial goals. These accounts work best when there is open communication between the account holders so the risk of overdrafts is reduced. These accounts can be great for people who have their paychecks directly deposited and seldom venture inside the bank and deal with a teller. The reason is simple: electronic transactions are free but there is a charge for transactions that involve face to face interaction with a teller. They are available under a variety of names and their availability is age dependent, usually under 21 (and a full-time student) or over 55, with retirement as a requirement in some cases. The fees and balance minimums are generally lower on these accounts which can have other limits on their use to keep the bank’s costs down. Like a cross between a savings account and checking account, these will pay interest on balances over a certain amount and charge fees if the balance is below that amount. The differences are in the rate of interest, usually higher, and the required balance minimums, usually higher. These accounts may also have limits on the number of checks that can be drawn against them each month, usually 3-5. Which Account is the Right Account? When choosing the right checking account for you, carefully consider your habits, ability to maintain balances and live within the restrictions of that account. Other factors to consider: Are there fees for paper statements versus digital statements? What about ATM fees? Which ATM networks does the bank belong to? Finally, remember that the descriptions here are general guidelines and different banks may use these terms with different rules, so always be sure to ask each bank you are considering for the terms and conditions for their accounts.